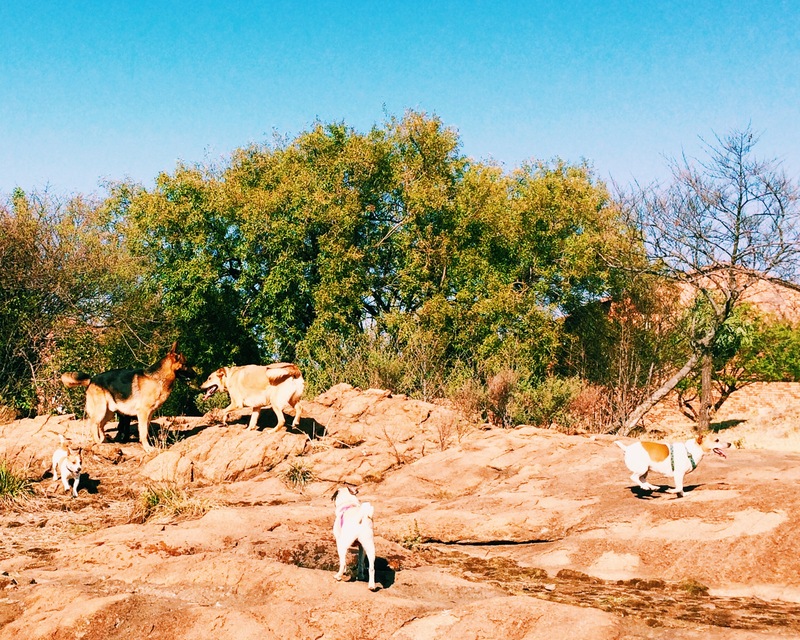 Tuesdays are a good time to go walking dogs in Randpark Ridge! Evie was very excited this morning when she was picked up. She couldn’t wait to get going with the other dogs, that she didn’t want to waste time putting on a leash. We did get it on though, and she was happy we could finally get going. It was then that she met Bella, Shrone Austin’s pug. The two were quite playful on the way to the park, familiarizing themselves with each other. Evie seemed to be quite happy that another girl was joining. Once the leashes were off, the pups went crazy, running as fast as possible and wanting to go absolutely everywhere. Evie dominated the Fetch game, almost always beating out the competition to get the tennis ball. Evie and Bella were so tired after we had walked the whole park, and chilled out in the shade a bit, before we had to walk back. They were both a lot more chilled on the way back, after doing all that exercise. It was lovely to get out to the park, especially since the weather was wonderful to walk in. It was a really fun day together! For more pictures of the dogs, look at Connor’s walk, and Bella and Shrone Austin join the fun! 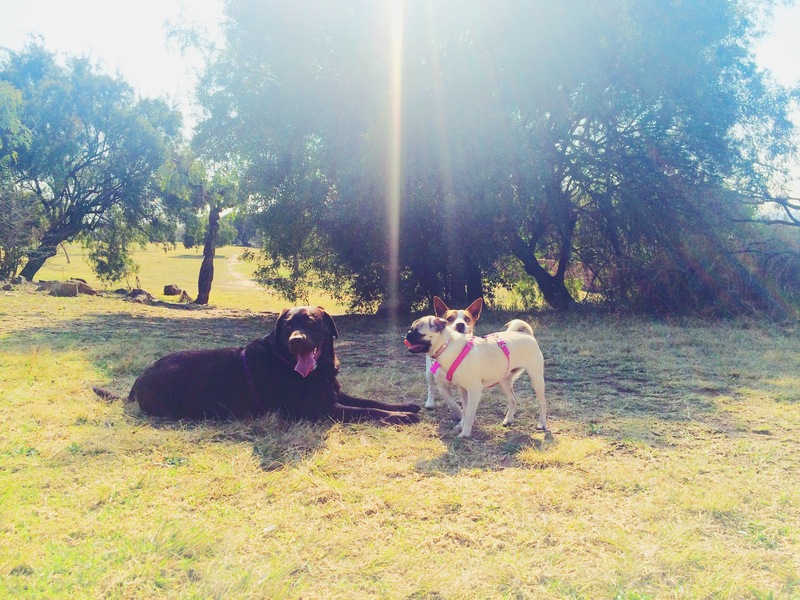 This entry was posted in Dog Walking and tagged #YourHound_SA, animals, city streets, Dog walking, exercise, fit, fun, Happy Dogs, Johannesburg, Labrador, nature, park, Pug, Socializing, Sunny Johannesburg. Bookmark the permalink.